Tom Seipp is just 11. He loves riding bikes as much as his dad, and even more with his dad. I met his dad, Rich, on my Highland Trail ride in 2014, where he thankfully ordered dinner before the 9pm cut off at Strathpeffer, where we both enjoyed a great evening together after a rough day in the hills. I first met Rich when I stumbled into the bothy on the bottom of the Corrieyarick Pass on day one of the Highland Trail at 2.30am, and while everyone else in the bothy was considering various options to escape the pouring rain the next morning, Rich simply pulled up his socks, yellow and bearing the Flanders lion, put on his flimsy waterproof and rode to the toilet up the hill. He struck me as a very practically minded person without any fuzz, and when we met again crossing a pretty fast flowing ford near Loch Ma Stag and trying to find a path along the loch jointly, I enjoyed his company for the short while it lasted. And finally in the evening, drenched from the horizontal rain during the day, we got to drink a pint and talk a bit more. 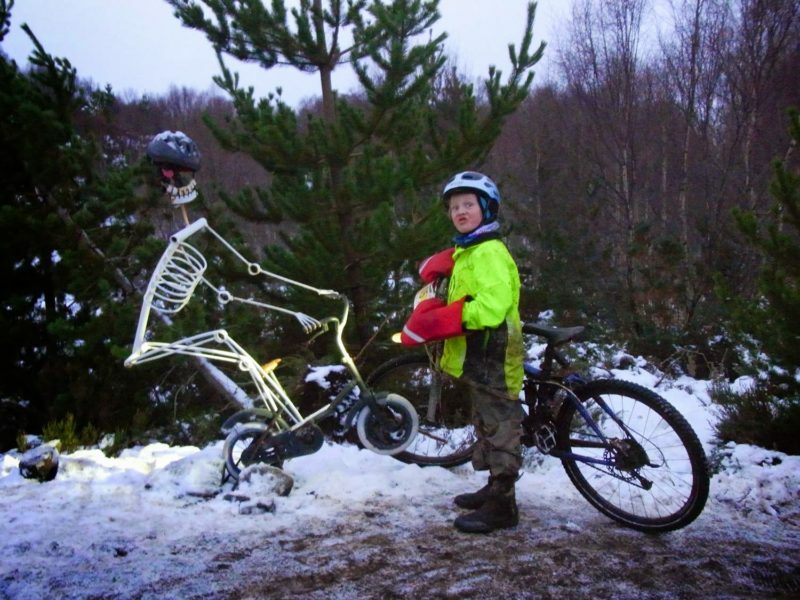 Rich’s toughness was incredible, and the first time I met Tom, his son, was at Strathpuffer. Rich told me that Tom had watched all videos from the race available online, and since pestered him and wasn’t going to let go of the idea of doing Scotland’s, maybe even the world’s toughest 24hr race. That was in 2015, in a year where I was struggling with the conditions and only continued riding as any bailing would have possibly affected my success finding sponsors for my round the world trip. 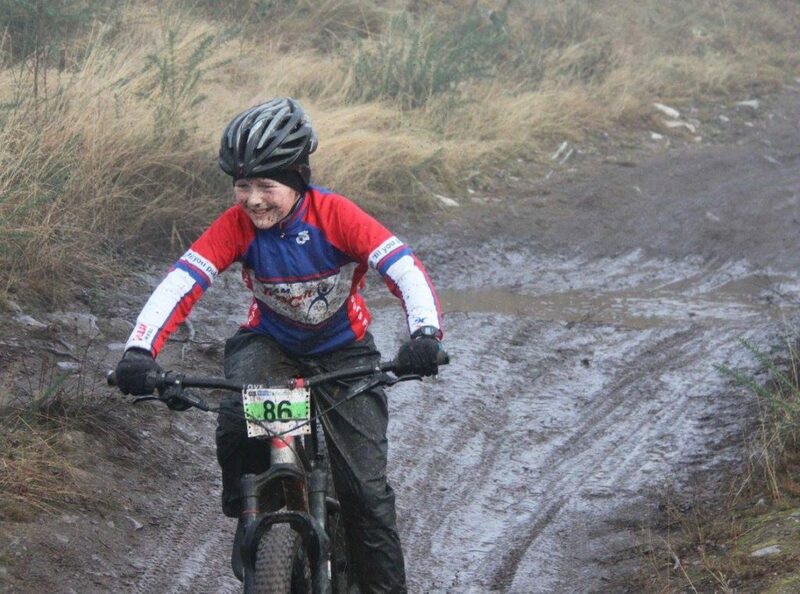 You can imagine the noise in the tent when Tom got up on stage to receive a trophy as the youngest ever rider, the standing ovation wasn’t going to end. 10 laps at the age of 9. Our paths almost crossed again when I was on my way back from the lap of the world, we only missed each other by a day in Dunkerque, where Tom and Rich set off on their tandem to tackle the French Divide. 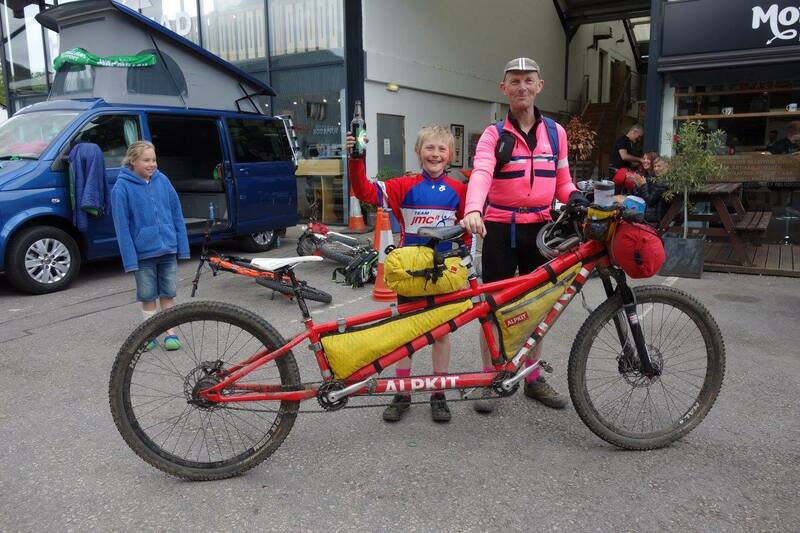 They ended up riding 3200 km on this trip on their tandem, which is more than my first leg crossing Europe from Edinburgh to Barcelona, and an awful lot when you think about that Tom is only 11. Just before we met again at Strathpuffer, where Tom and Rich bet me by 10 laps as I rode off to Inverness when it got dark, I chatted with Martin from Craigdon Mountain Sports about doing a series of inspiring talks at the Pentland Outdoor Centre, which hosts both Craigdon Mountain Sports and Cobb’s Cafe. And I didn’t have to think twice who’d be the opener for that. 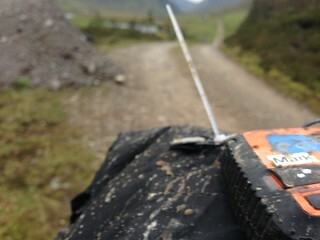 There are many people that inspired me, but I couldn’t think of anything more inspiring than Tom and Rich, and this is why they will be opening the Bikepacking Scotland series at Craigdon on Thursday 16 Feb at 7pm. To make the planning easier I would encourage you to book your tickets online, you can get them here for £9 for anyone under 16 and £11 for the rest of you, booking fees included. On the day tickets will be £10/£12. Tom’s movie ‘A Mountain Journal’ will also be screened at the Edinburgh Mountain Film Festival on Sunday 6 Feb at 11am, tickets for the session, which also includes Lee Craigie’s new movie ‘Escape‘, are still available. And if you want to be 100% sure how inspiring the two are, their movie won the Peebles Outdoor Film Festival public vote last Saturday, and their many adventures are on their blog here.